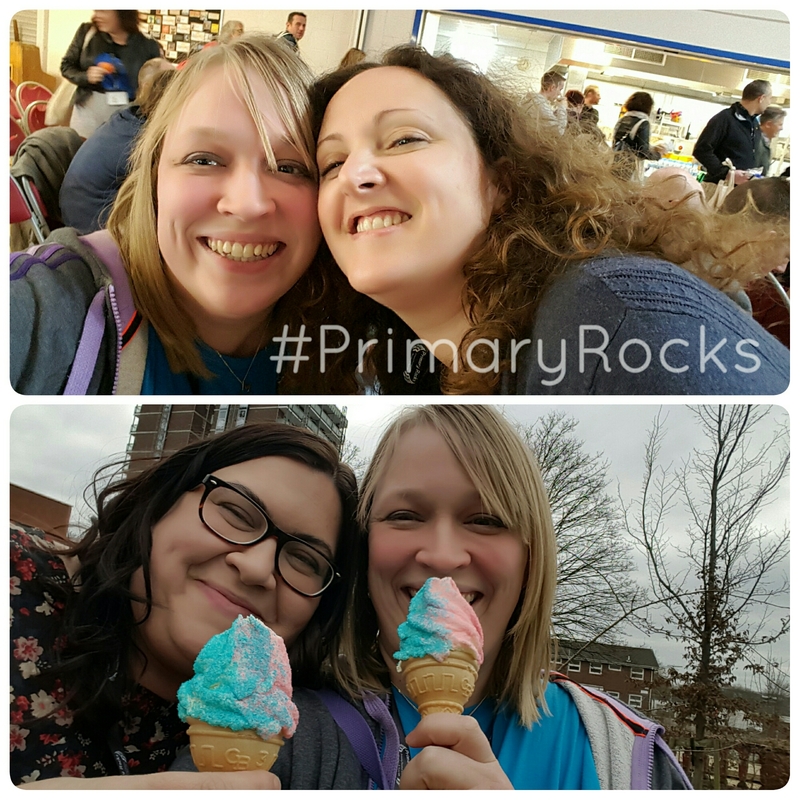 Primary Rocks Live- A Review. Yesterday morning I left at 8, collected by the lovely Carole in her car full of cupcakes! We headed down the A34 and made our way along the quiet streets of Manchester to Medlock Primary School. Arms full of cake tins we made our way in and we were greeted by some smiling young faces of pupils and organisers. A few minutes later and the cakes were out, ready for people to take for a donation to charity. I then found myself helping to give out the lanyards as people arrived. That was nice actually, it meant I said hello to names and faces I knew and plenty of new ones too! The day started with a warm welcome from Mr Primary Rocks himself, Gaz Needle. A cheery man who handed over to one of Manchester’s MPs, Lucy Powell, shadow secretary of state for Education. She said a few things I agreed with. “Primary teachers, you are doing a great job” and talked how there was too much change without thought, but for me she lacked real umph and gumption. A missed opportunity as far as I was concerned. However, I would like to see how she gets on in the years to come. I felt she had more honesty than her predecessor. The inspiring Hywel Roberts was next to speak. His passion and enthusiasm was clear to see and I know he got the room thinking and reflecting on their practice. Next there followed 3 workshop sessions. Mike Watson reminded me about how much fun learning outside can be. Being in special ed I often have to think outside of the box and be creative. Ideas that work for others always need adapting and I came away with some ideas. The fabulous shoe-tastic Rachel Orr sang for us and talked passionately about being digitally confident but it’s not all about everything all singing and dancing tech. https://youtu.be/Es0srWSGi3Y I got the chance to chat with her afterwards too which was lovely. I also filmed her 2nd song which is on my You Tube page if you are interested. Dinnertime arrived and my free packed lunch plus ice cream were warmly received. This lovely long dinner gave the best chance to catch up with people. Some I had met before, Cherryl, Carolyn, and my long standing friend Ria. Others I have known on Twitter for a while such as the fabulous Nancy and Lynn. A brief hello to others familiar from their avatars too. 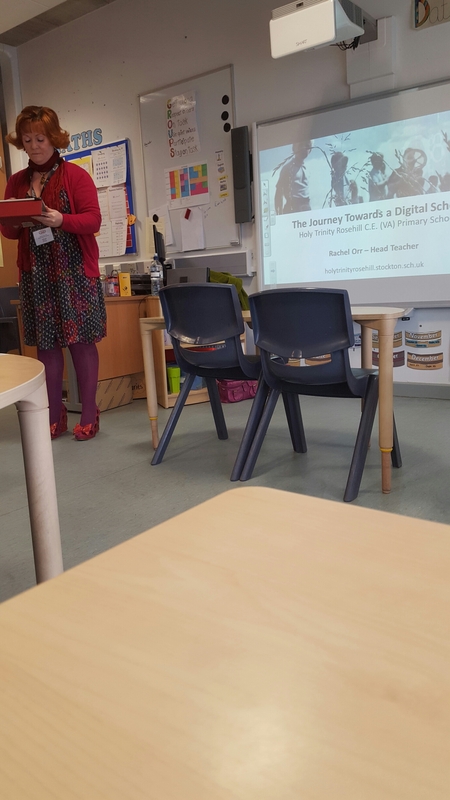 The afternoon saw the final workshop, where Nancy spoke about TAs and how in some cases they can be exploited. I am a huge advocate of TAs but I also appreciate that they are just not paid enough for all they are asked to do at times and fully respect them. Always interesting to hear what people have to say. 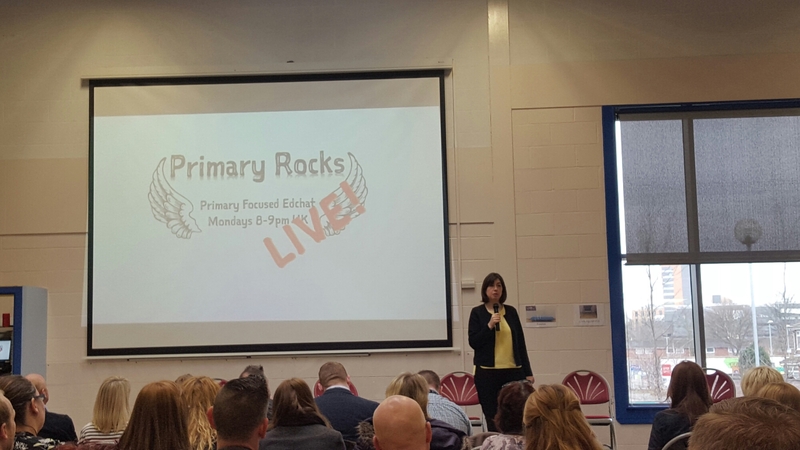 Next up was the Primary Rocks panel. This made me laugh a lot (live tweets on the screen behind us were the source of most giggles) and also reminded me just how out of the loop I am when it comes to the finer points of mainstream education. I try and keep in touch with what is going on. However, ultimately we are all under immense pressure and we all have different opinions on how we would solve the problem. Sadly government appear not to want to listen to us so we shall just continue to do our best in the circumstances. Stephen Lockyer spoke towards the end of the day. Again he spoke with passion and an intensity that meant the room was enthralled. 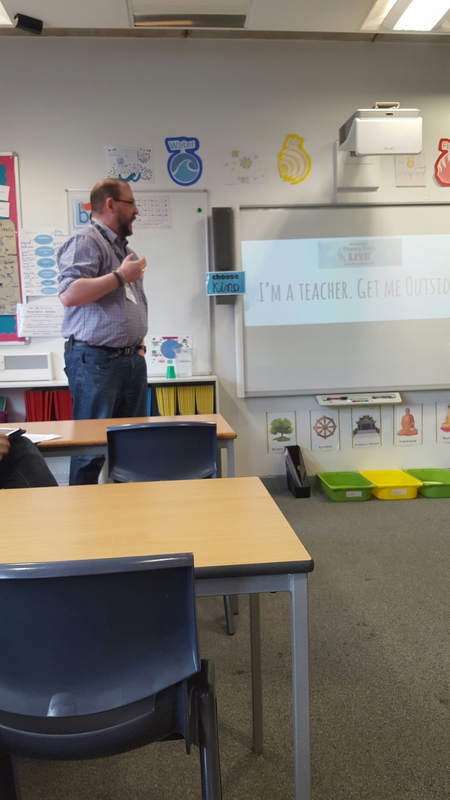 Having left a job in teaching that made me very unhappy I related to his experiences of that and how you can be reignited by a change. A great speech. Rob Smith was the last to speak and reminded us that we should be more like Brewdog! His closing words were all in the spirit of Primary Rocks and left us all with a positive feel. 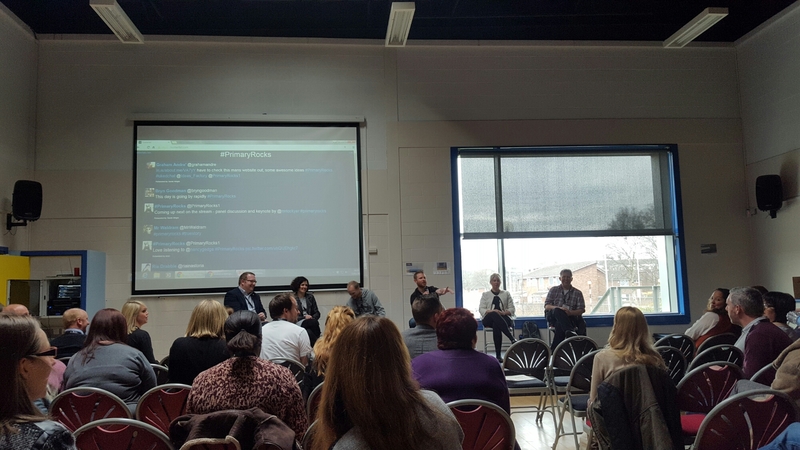 Thanks to everyone involved in the event. There was a great feel and I hope the event will be repeated again.